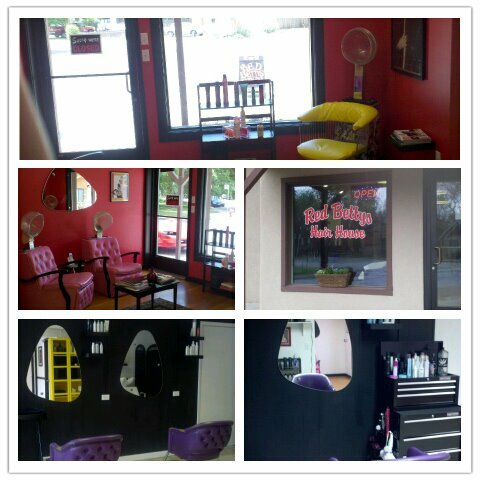 Red Betty’s Hair House is proud to be Boise’s only Rockabilly & Rockabetty Boutique Salon! We are situated in Boise’s North End neighborhood in a mid-century salon that’s been around since the 6o’s. So, if you’re lookin’ for some old school nostalgia, we got it. Even the decor is straight up Americana Rockabilly. We wink and nod to the days of old when a trip to the beauty salon was more than just an assembly line experience. So kick back and get a rockin’ new do, grab some of the best products around or get your nails looking fabulous from the crew over at Red Betty’s Hair House. Schedule here: twenty-four-seven with any of our providers. We look forward to serving you!